Apparently, the United States Postal Service has in plans rolling out a new stamp in 2015. 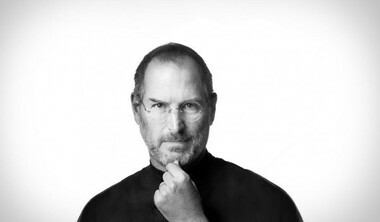 The new release aims to pay tribute to late Apple co-founder, Steve Jobs. A report by the Washington Post indicates that the project is in development now, so most likely we will able to see the new Steve Jobs stamp quite soon. The project is in design phase at the moment. It seems that the news was made public after the list of planned stamps for the next two years has been leaked. Naturally, it remains unknown for now exactly when the release will be made. However, it seems that the project is a certain one. The leaked list does not only include the name of Steve Jobs. Other famous people might also get a stamp in the next 2 years. The list also includes names such as Michael Jackson, Jimi Hendrix, James Brown, Jonny Carson, but also Harvey Milk and President George W. Bush. Moreover, on the leaked list you may find numerous animated characters and shows, which might also be used as an inspiration for the release of new stamps. Well, now that the list has been made public, it seems that the stamp service might be interested in what people think about their ideas. At least this is what Susan McGowan told the Washington Post. According to the executive director for stamp services, it will actually be very interesting to discover people’s opinion on this matter. This is why she encouraged people to be vocal about it. Fans can take the USPS Facebook page to leave comments on this subject. Even though Susan McGowan confirmed nothing regarding this aspect, it is expected for the Steve Jobs stamp design to be available only at the end of the year. Commonly, the United States Postal Service makes public such aspects only a few months before the official release. Naturally, the new stamps haven’t been officially announced yet. So, Steve Jobs fans surely are anxious to discover the design of the stamp that is going to feature the image of the co-founder of Apple. However, they should get ready, as the Steve Jobs postage stamps will arrive in 2015.